The snow is melting from the heat of the hottest four teams in the Collegiate Starleague. Kick back and enjoy the weather while I fill you in on the storm brewing in the Playoffs. After their win against the Grand Champions in the finals of the Winter Invitational, State University of New York - Stony Brook continued to dominate every team that stands between them and making it to LAN. SBU is the hottest of the hot right now, they have not lost a match since the Fall. If SBU fails to defend their ancient, I think it will be on LAN. 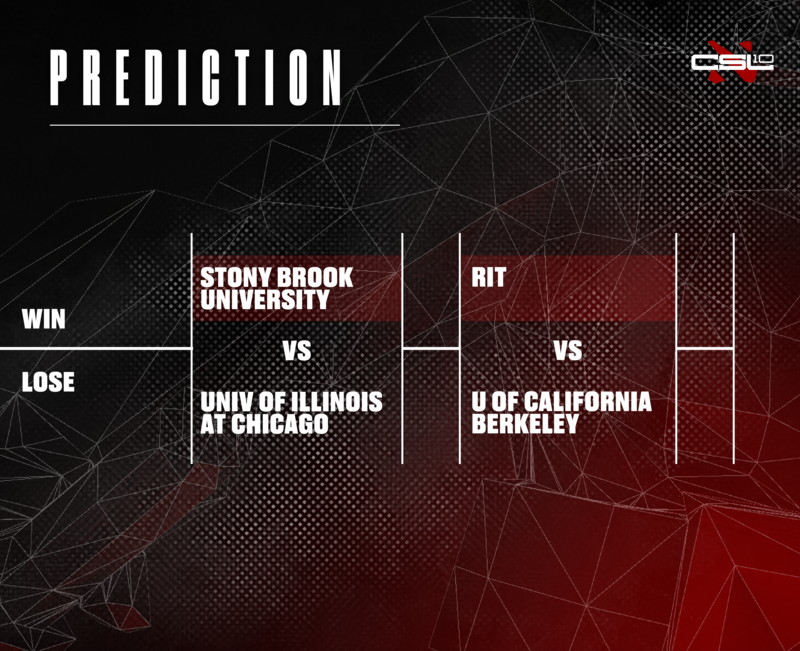 I predict that SBU will win their match against the University of Illinois at Chicago and advance to the Winner’s Bracket Grand Finals. UIC’s impressive 4 - 0 | 8 - 0 run in the Spring groups has not stopped. They defeated three teams in the playoffs without losing a game, but I think they have finally met their match. I respect UIC and know they have been performing favourably in their scrims, but I do not think any team can stop SBU from making it to LAN. UIC’s underdog story will be a fitting addition to the lower bracket. The Grand Champions, Rochester Institute of Technology have finally tasted defeat after over a year of winning every match. Their star player left them, but RIT retains their star power. In their recent interview, RIT’s captain said that the team gets “serious when playoffs start” and their record confirms it. RIT is progressing to their second LAN invite in two years with blazing speed. They have won all of their playoffs matches without dropping a game and I do not think their win-streak will come to an end in the semifinals. I have checked the scripture and consulted with Oracle, and the prophecy states that SBU and the Rochester Institute of Technology will meet in the LAN Finals and settle their 1 - 1 record across two best-of-3 matches. With the calibre of the students competing this year, it is possible that RIT’s run to defend their championship is stopped short by a team other than SBU - like Berkeley - but if that is to happen, I expect it to be on LAN. Berkeley impressed me and many others with their performance in the Winter Invitational, upsetting Carleton and moving on to - unfortunately - forfeit against SBU. I want to see how far Berkeley can take their hot streak in the playoffs, but with a LAN spot in sight, I do not think Berkeley’s run will continue in the upper bracket.